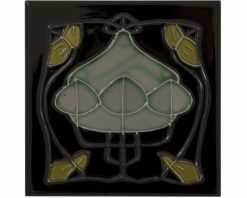 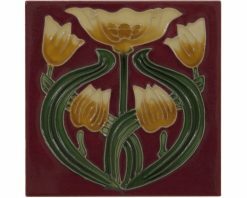 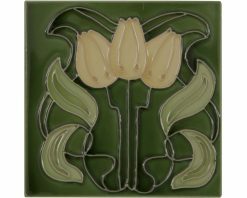 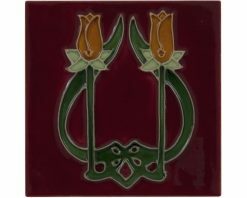 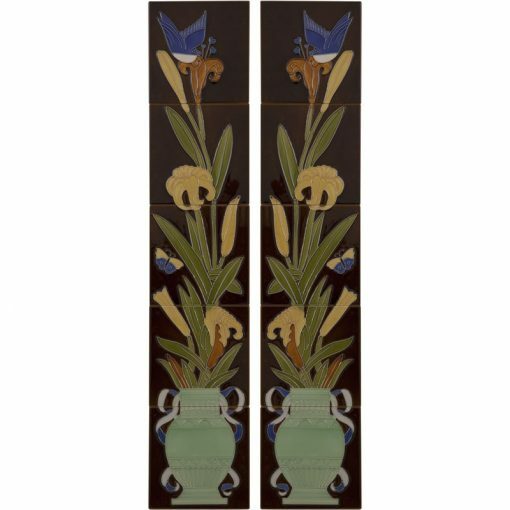 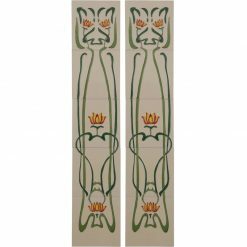 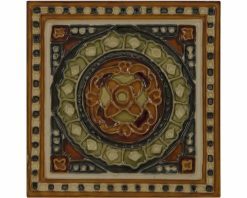 Victorian fireplace tiles LGC086 used a process of tube lining where slip was trailed onto the surface of the tile. 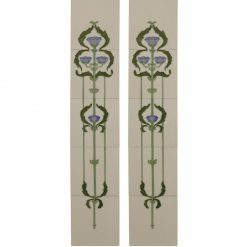 This formed raised lines separating the areas where different colours were added to form a decorative pattern. 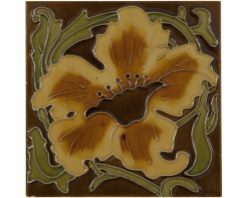 Coloured glazes were poured into the areas of the tile formed by the tube-lined decoration.